The Third United Nations Conference on Housing and Sustainable Urban Development, “Habitat III,” will take place in 2016. This milestone is formally enshrined in General Assembly resolutions,[i] with three Preparatory Committees convening in the next two years. HIC welcomes Habitat III as the first global conference after setting the post-2015 Development Agenda. However, HIC and its civil society Members have deep concerns and high expectations that this Habitat Conference commit to progress built on, but well beyond Habitat II and previous Development Goals: HIC calls upon states and development actors to meet the repeated demands and future challenges of development. 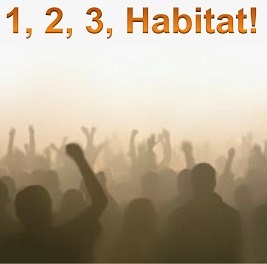 Habitat III is a General Assembly initiative, a conference of the whole. Thus, Habitat III is not the gathering of a single UN Charter-based agency. [ii] It is designed to convene global actors to discuss and chart new pathways toward meeting the challenges of ensuring equitable, resilient and sustainable human settlements, embodying justice and maximizing the opportunities they offer for accountable implementation of socially responsible development goals. The outcomes of Habitat III must ensure social justice, build democracy and respect the environment in human settlements. 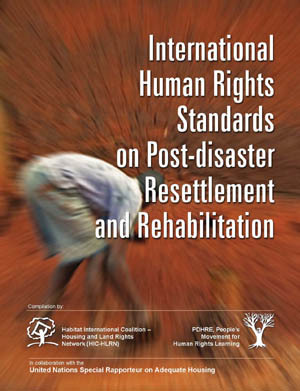 This publication explains Habitat International Coalition`s under debate, as well as those that deserve to be debated in the indispensable evaluation of Habitat II commitments that were to be implemented over the past 20 years. [ii] “…the conference and its Preparatory Committee shall be open to all States Members of the United Nations and members of specialized agencies and of the International Atomic Energy Agency;” “Implementation of the outcome of the United Nations Conference on Human Settlements (Habitat II) and strengthening of the United Nations Human Settlements Programme (UN-Habitat) A/RES/67/216, 20 March 2013, para. 8, at: http://www.un.org/en/ga/search/view_doc.asp?symbol=A/RES/67/216.